In this article we talk about cutters for CNC, namely, about the materials used for the manufacture of this tool, and methods of sharpening cutters. By itself, this cutting tool is indispensable in machine-building enterprises because of the work that you can perform with this tool. Next, we take a closer look at the aforementioned tools. — incisors, mounted on multi-task machines, which, in turn, have built-in robotic systems, automatic tool change. — cutters, who perform a special work. If to speak about that, how is sharpening the cutters, it is possible to allocate two ways, actually: hand sharpening and sharpening centralized. Where applicable these methods? 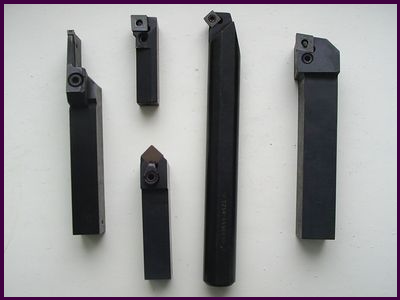 Usually, for sharpening of cutter used grinding machine. Consider the principle of the sharpening on this machine. Grinding head equipped with two-speed motor, the outgoing shaft ends of the rotor are grinding wheels. The machine also has a rotary table and an armrest that serves to set the cutter. The bed is equipped with control Cabinet and control panel. Quality contribute to the sharpening characteristics of grinding wheel. If you increase the pressure of the tool to this very circle, that will increase the productivity of labor, but however appears the risk of burn marks and cracks. So often the stress does not exceed 20-30 N.
by the Way, if you increase longitudinal flow, the formation of cracks is minimized. 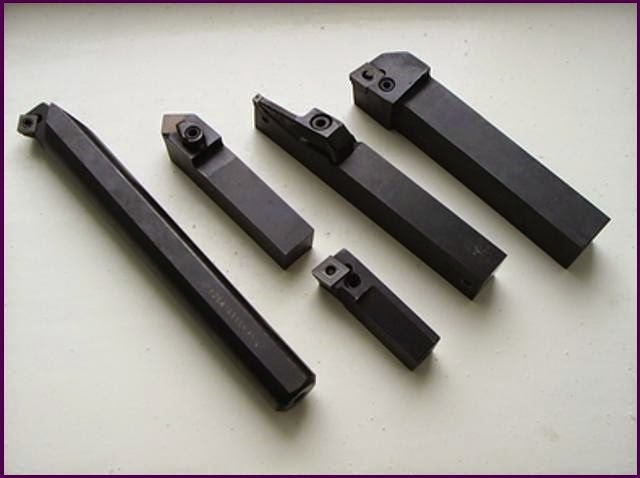 For the manufacture of cutters can be used carbon tool steel, alloy tool steel and high speed tool steel. Carbon steel is cheap. The carbon content of 0.9 to 1.4 %. After the operation of the thermal treatment — quenching and tempering, the steel becomes higher hardness 59-62 HRC. Unfortunately, this steel limits the cutting speed. Namely, the cutting speed should be low 10-15 m/min. high Speed steel highlights the high percentage of alloying elements (to include : tungsten, chromium, cobalt, molybdenum, vanadium contributing to the increase of cutting properties of steel). The speed of the cutting tool of a steel is several times higher than the speed of the cutting tool made of carbon steel. If the cutter is made of solid steel, it can be immediately noted that the cutting speed in such a cutter will be several times higher cutting speed cutter of high speed steel. They are made of powders of tungsten with the addition of cobalt. This mixture is subjected to pressing, followed by sintering at a temperature of 1500° C.
Also, the material for the manufacture of cutters can serve mineralokeramiki material (ThermoKing). Is a plate of white color. Cutters of this material it is possible to achieve high cutting speeds. However, the mechanical properties of these inferior cutters cutters made of hard alloy. Diamond is one element — carbon. Distinguished by its high heat resistance and wear resistance. The obvious disadvantages is of course the material cost and fragility. Most importantly, despite the fact that the CNC machines are used tools for General purposes, should take note that the tool used should have a high quality sharpening, and to conform to parameters such as stiffness and abrasion resistance.